As a Savvy Guest you can have a chat with the Director of Education Inventory and find out about their success and long standing relationships with Schools, Academies, Colleges and Universities. 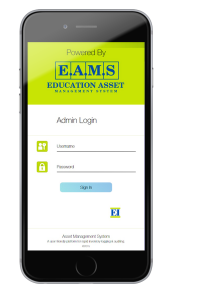 The company supply Asset Management Systems and software to the Education sector. Customer Service is paramount to the business. Gain knowledge on how the company deal with the many challenges in relation to Asset Management requirements and how they meet all the criteria in terms of providing computerised evidence for Audit, Insurance reporting and disaster recovery within the sector. With Business Managers roles in School, Academies, Colleges and Universities changing greatly and becoming more varied you need a product that can simplify a large number of tasks and bring them all under one roof. A concise and consistent Asset Inventory is an essential requirement to every educational establishment. We collaborate and work with all education establishments across the UK, & Europe providing a professional and cost efficient Asset Inventory service. Undertaking the responsibility for a concise check of your schools assets, is time consuming and a logistical nightmare when using traditional methods. Our Asset Management System allows straightforward and swift recording with reports just a click away.